Beyond mere history for history’s sake, learning about yoga’s recent past gives us a necessary and powerful lens for seeing our relationship with tradition, ancient and modern. An integral part of all classical schools of yoga is lineage; a tracing of roots from teacher to teacher to teacher. As part of our exploration and commitment to Yoga, it is important to look at the roots of this practice, and reflect on what and why we practice with teachers. Lineage involves the history, culture and wisdom passed through generations, as well as the sacrifices. Lineage is more than names and dates; it is the history and stories of our forebears. In the late 18th century and early 19th century, a letter of introduction showing a good lineage gave a person accommodations with no questions asked. Lineage is important to connect to those who contribute to building a society we want to live in. From Beowulf and the Odyssey to the Hobbit, we see the character develop into a hero with ancestral heritage and individual reputation critical in the journey toward identity. Lessons along the way inspired them with indomitable spirit, and the journey was lit by thoughts passed by their guides and mentors. We do not need blind faith in following a teacher or lineage, but do need to trust that challenges help us become stronger, and learning to watch the mind and how our thoughts create our reality. As we begin to understand the process itself is a flow of its own; it becomes an integral part of our inner landscape, and endures as indelible signatures upon the heartmind. The path of yoga is not in advancement, and it is not a destination or arrival. It is a journey that can be joyous, difficult, connecting, lonely, profound and troublesome. It is a path that requires guidance and companionship. Yoga is like looking for a path and knowing you can find your way because many have found their way before. A good teacher is like a guide that helps to point the way. 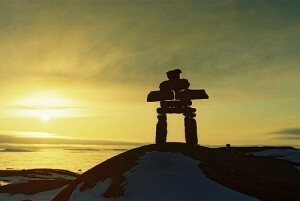 It makes me think of the Inuksuit on a barren landscape that is a welcome sight when one is a long way from home. It is an indicator that others have been here before, and that you are safe, and that they have left a message to point the way. Parampara is a Sanskrit word that denotes the principle of transmitting knowledge based on direct and practical experience. It is the knowledge that is passed from teacher to student. It is the basis of any lineage: the teacher and student form links in the chain passed down for years. The best teachers provide an example but not a clear path. The yoga sutras talk about how easily we can go on a flight of fancy, spiritual idealism, falling after experiences and imagination. Patanjali reminds us that imagination is a process of consciousness, and may be helpful initially, but must be dropped ultimately. The teacher shares experience and wisdom of their own journey, and helps us on ours.They can act as translators in a foreign land. The actual journey to discover the landscape is still ultimately ours. Yoga helps us find faith. The faith to move forward as we experience difficulties, and teachers are a model of character and direction to help establish and solidify our own identity and choices. What is Lineage mean to you in Modern Yoga? Does it serve the same purpose as Traditional Yoga in India? 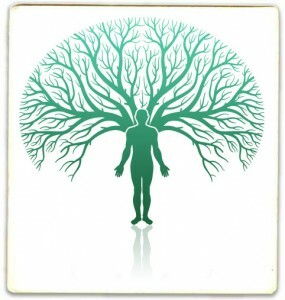 What does the role of Lineage, Kinship and Ancestry play in your yoga practice and teaching? Through intimate interviews with the leading experts, many who have become worldwide icons with rock-star status, YOGAWOMAN captures these teachers have blazed a new trail for women. These world-renowned teachers include Patricia Walden, Sharon Gannon, Shiva Rea, Angela Farmer, Cyndi Lee, Seane Corn, and forward-thinking medical professionals such as integrative physician Dr. Sara Gottfried and world-renowned research scientist Dr. Shirley Tells. Once a symbol of ’60s counterculture and psychedelic drug use, Ram Dass has since become a renowned speaker and author on the topics of aging, spirituality, and overcoming the mistakes of the past. This documentary chronicles his journey from his affiliations with LSD advocate Timothy Leary to his endeavor to continue remaking himself after his stroke in 1997. Harnessing the colorful commentary of the most prominent yoga scholars, teachers, and medical experts, Yoga Unveiled reveals how yoga began, tells the story of yoga’s passage to the West, describes its numerous branches, recounts the fascinating biographies of the foremost yoga masters, and explores yoga’s astonishing medical potential. Yoga Unveiled features commentary by Krishna Das, Dr. Herbert Benson, Edwin Bryant, Subhash Kak, Vasant Lad, Dr. Timothy McCall, Larry Payne, Pandit Rajmani Tigunait, Father Joe Pereira, Swami Sivananda, Dr. Martina Ziska, and Dharma Mittra. A provocative social experiment-turned-documentary, Kumare follows American filmmaker Vikram Gandhi as he transforms himself into a wise Indian guru, hoping to prove the absurdity of blind faith. Instead, he finds himself forging profound connections with people from all walks of life — and wondering if and when to reveal his true self. Will his followers accept his final teaching? Can this illusion reveal a greater spiritual truth? Winner of South by Southwest’s Audience Award, Kumare is an insightful look at faith and belief.